Thunderstruck Pokie Review - The Cult Classic - Play Now! Thunderstruck Pokie is over ten years old yet it still remains a firm favourite of many a player and has even reached cult status in the gaming community. What really sets Thunderstruck Pokies apart from the rest is that it offers a stable offering of game play and extra features that encompass everything a player could possibly desire in an online pokie, Thunderstruck Pokie was released in 2003. 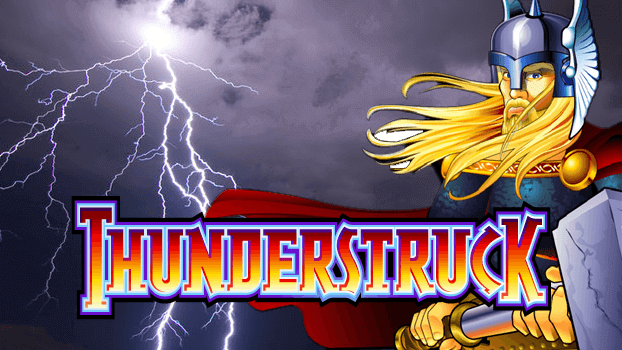 We’ll look at what this Thunderstruck Pokie offers you in terms of graphics, game play and winning potential. Thunderstruck Pokie revolves around Thor, the mighty Norse god of thunder accompanied by his trusty hammer and his two rams. Not only does it feature animations and graphics that perfectly reflect the muted splendour of this mythological character but also brings forth a rather retro feel to the game. Thunderstruck Pokie offers you 9 Paylines and an explosive selection of great features that will surely see your winnings soar to new heights. The most notable feature of the Thunderstruck Pokie is definitely the Free Spins feature which is unlocked when you achieve 3 or more Scatters across the Reels. This feature grants you up to 15 Free Spins with the distinct possibility that you can end up with 3 or more Scatters once again allowing you to gain even more Free Spins through the retriggerable feature. All the wins you make on the Free Spins mode are also tripled adding to the sheer excitement this pokie provides. 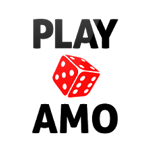 Fear not, if you only land 2 Scatter symbols as Scatter wins are multiplied by the total number of credits staked. The Wild symbol is the Thunderstruck Pokie is represented by Thor himself with the symbol substituting for all symbols except Scatters. Any win with Thor as a Wild symbol doubles your win and if you land 4 or 5 Wilds you stand to win 2,000 or 10,000 credits respectively. If that isn’t enough we’re sure you’ll be appeased by the prospect of further rewards in the form of the Gamble Feature that allows you to either double or quadruple your win. Once you’ve made a win you can opt to wager that amount on the Gamble Feature which entails you placing a wager on a face down card’s colour or if you would like to quadruple your win you can wager what suit it is. Thunderstruck Pokie is ideal for all players as it supports a number of bankrolls with its flexible betting system that offers a minimum bet of 0.01 and a maximum bet of 4.50 credits. Thunderstruck Pokie also offers great jackpots with a fairly sized jackpot in the base game and an astounding jackpot in the Free Spins game. We give this Thunderstruck Pokie 4 out of 5 spades, if Australians are looking for a solid game that delivers a great time and offers thunderous winnings you really can’t go wrong with Thunderstruck Pokie . The only reason we didn’t award it 5 spades is due to the fact that its successor offers more Bonuses and also boast 243-Ways-to-Win instead of this game’s 9 Paylines. If you want to experience one of the pioneering real money pokies in Australia that truly contributed to the current pokies experience take a step back in time and be blown away.